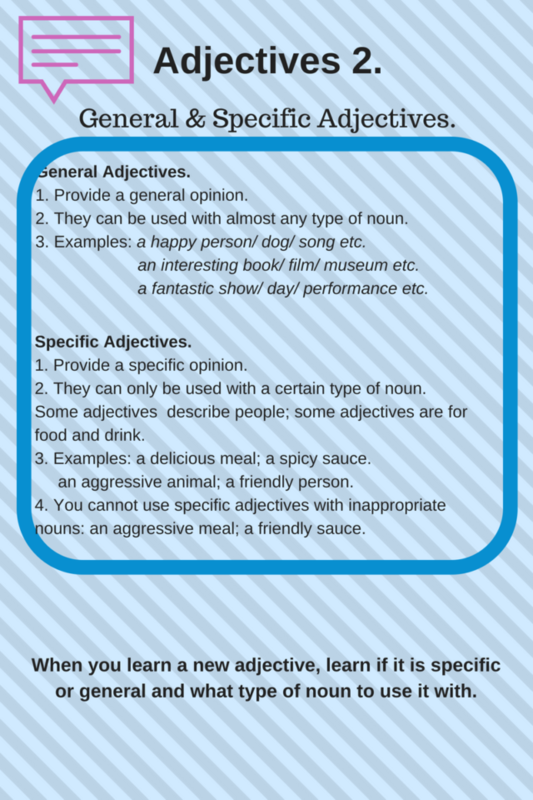 Here is the second article on how to use adjectives. This piece talks about knowing the difference between specific and general adjectives. Please read it and give your comments below.